The Boeing 737-800 jet was called in for repairs on Feb. 23 after the crew detected a problem with the “master caution light,” the Istanbul-based carrier said in an e-mailed statement today. The fault was corrected and the craft subsequently made eight flights without any problems, it said. The jet also underwent routine maintenance on Oct. 22 and Feb. 19, according to the statement. A part on the aircraft’s left wing was replaced on Oct. 28, the airline said. The head of the agency investigating the crash said engine trouble may have been a factor, the Associated Press reported. 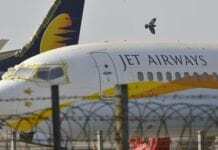 Pieter van Vollenhoven said in remarks cited by Dutch state television NOS that the plane had fallen almost directly from the sky, which pointed toward the plane’s engines having stalled, AP said. The reason for that hasn’t been established yet, the newswire cited him as saying. Spokeswoman Sandra Groenendal of the Dutch Safety Authority confirmed that NOS reported Vollenhoven’s remarks accurately, AP said. The nationalities of the deceased were announced at the airport today by Theo Weterings, mayor of the Dutch township of Haarlemmermeer, where the airport is located. There were 60 Dutch on board, 51 people from Turkey, seven Americans, four Iranians, three Britons, two Syrians, and one each from Sudan, Germany, Bulgaria, Finland, Italy and Taiwan, the township said. The nationality of two people was unknown. Weterings declined to say whether the U.S. victims were employees of Chicago-based Boeing Co., after a Boeing spokesman said yesterday that four employees were on the flight. The four were based in the Seattle area and were traveling on business, said Bernard Choi, a spokesman in Seattle for Boeing, the world’s No. 2 commercial-jet builder and the second- biggest defense contractor. Choi declined to give the men’s job functions. The number of people on the plane was revised to 135 from 134, Weterings said. More than 80 people on board were injured when the airliner from Istanbul went down short of the runway and broke into three pieces. The analysis of the plane’s black boxes, containing flight data and voice recordings, may yield its first results before or during the weekend, Dutch authorities said. The airline looks forward to introducing the innovative CS100 to its fleet for the benefit of Delta's employees, customers and shareowners.